It IS still pumpkin season, right? You wouldn't know by all the Christmas décor already in stores. As for me, I'm going to savor the beauty of fall until Thanksgiving! 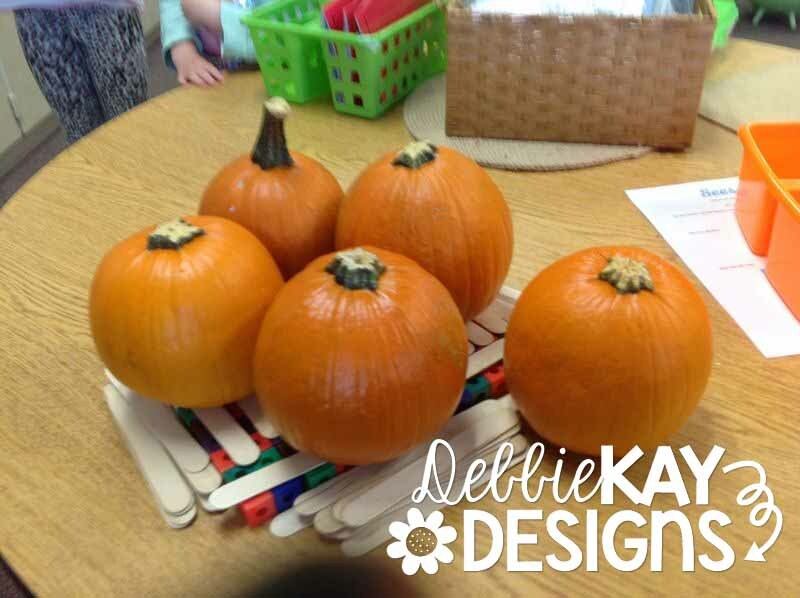 These are photos of our Pumpkin STEM Challenge. I have an investigation station set up in my room. A place where students can investigate and manipulate and learn. A couple of weeks ago, I gave my students a STEM challenge to build a gate that can hold five little pumpkins. The "Five Little Pumpkins" was our poem for the week to go along with this. The only supplies given were connecting cubes and popsicle sticks. The challenge was to be able to get all five pumpkins onto your structure. 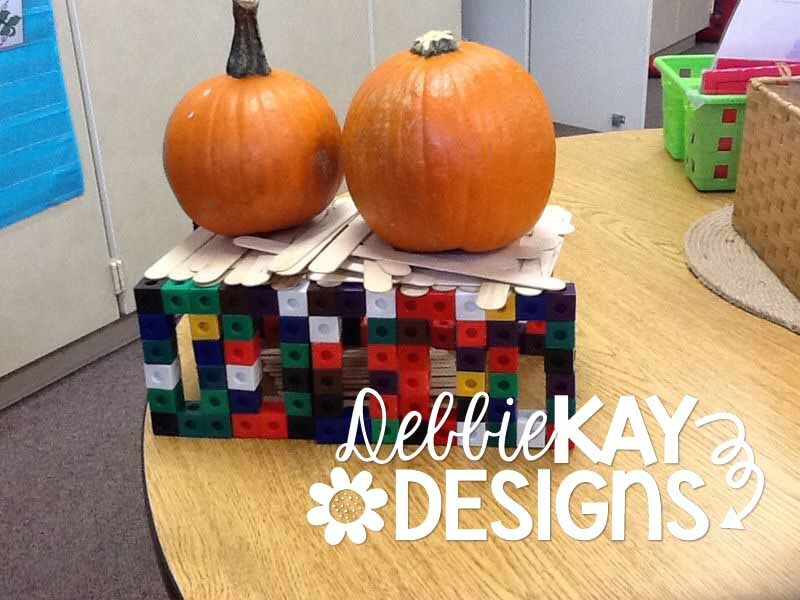 The first group was able to build a "gate" to hold 2 pumpkins. They posted this on our Seesaw Class feed for other students to see what they did, comment, and think about what they would do to improve upon the design. Could they build one to fit all 5 pumpkins? The next group built this structure, posted it on Seesaw, and other students could comment and view. 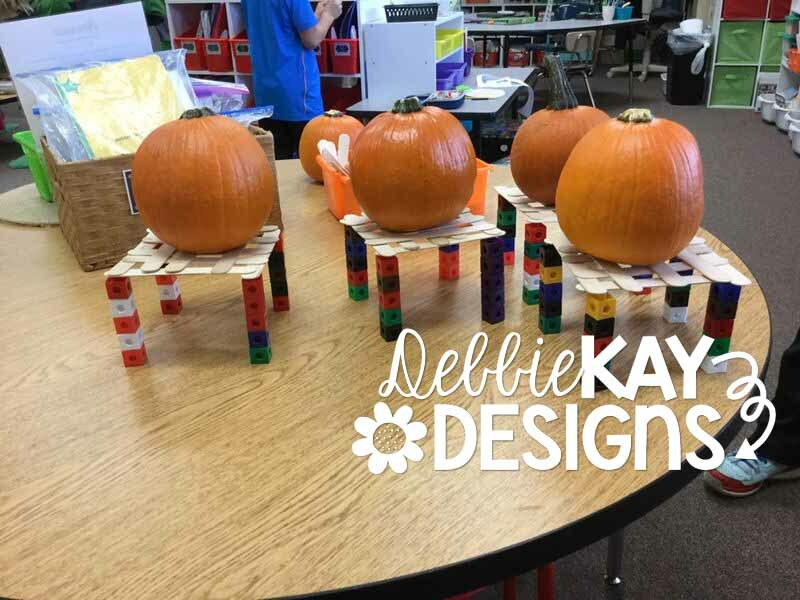 These students didn't really build a structure, rather they just laid the materials on the table and stacked pumpkins on top of it... well, only 4 pumpkins would fit. Again, I asked the students how we could take what the first two groups did and improve. The next group built their structure up and got those pumpkins raised; however the feedback they received after posting their work to Seesaw was that the structures were individual, not connected. And, once again, not all 5 pumpkins were on it. The last group built this structure and were able to get all 5 pumpkins onto the gate. We all agreed this was the most successful design. This was a great learning experience and lots of fun for the kids. Critical thinking, constructive criticism, receiving feedback, were all skills we learned from this challenge. It's not too late... it's still officially fall and pumpkin season! 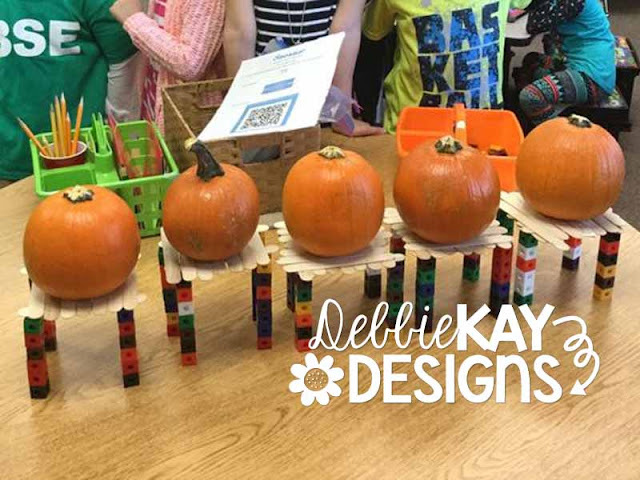 Get your Pumpkin STEM Challenge on!